The Dubai retail sector could be facing oversupply, a leading broker has warned. The continued construction of new shop space at a time when many retailers are reporting flat sales could lead to a potential oversupply in the Dubai market, JLL said. 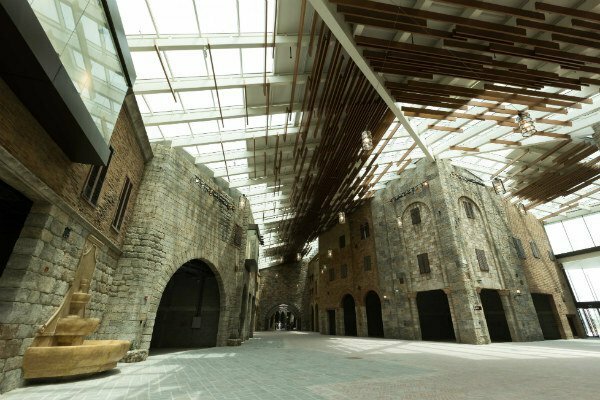 The company’s UAE 2016 Year in Review publication stated that 260,000 square metres of retail space was completed in Dubai last year, which is the highest volume handed over since 2010. This is expected to be exceeded both this year and next, with 350,000 square metres due for completion in 2017 and 367,000 sq metres in 2018. This would bring the amount of retail space in Dubai up from 3.4 million sq metres currently to more than 4.15 million sq ­metres. He said that although it is ­difficult to gain accurate retail sales data, anecdotal evidence from retailers suggests that many had either experienced a decline in sales or had very slow growth. “We would suggest the retail market will see some deterioration over the next year or so. What that would look like is hard to know. He said that more retailers were benefiting from rent-free periods and contributions to fit-outs from landlords, with some willing to negotiate rental deals based on shop sales. Retail rents in Dubai and Abi Dhabi remained flat last year, but the amount of vacant space in Dubai edged up from 8 to 9 per cent. In Abu Dhabi, vacant space remained low, at 2 per cent, and no major new space was added – but about 85,000 sq metres is forecast for this year and 382,000 sq metres in 2018. Meanwhile, the number of new homes completed in ­Dubai last year also hit a multi-year high of 14,600 – the highest level since 2012. There are 35,000 homes currently scheduled for completion this year, but Mr Plumb said that, as in previous years, the amount actually delivered will be much lower. Apartment sale prices in Dubai fell by just 1 per cent year-on-year, while villa prices increased by 2 per cent. In Abu Dhabi, prices of both apartments and villas fell by 11 per cent year-on-year, while apartment rents dropped by 7 per cent and villa rents by 4 per cent. In the hotels sector, supply increased by 6,600 rooms in Dubai last year. A further 28,900 rooms are predicted to be delivered in Dubai over the next two years as capacity expands in the run-up to Expo 2020. Mr Plumb said that Dubai’s hotels market had performed reasonably well, with occupancy levels remaining flat despite the increase in supply. David Clifton, the business development director of Faithful + Gould, said that he had concerns about tightening liquidity affecting new projects in the UAE, “especially around real estate and hotels”.